The Meagan McCain Memorial has raised over $100,000 for scholarships since 2010, thank you to all the sponsors, volunteers, contestants and supporters who have made this possible! AMC Barrel and Performance Horses awarded a bronc halter to Chris Coffey, Average Champion and a saddle pad to the Leslie Willis who ran the fastest time of the weekend. Brett Monroe served as our auctioneer. The auction is one of our biggest fundraisers thanks to generous donations and spirited bidding. Champion and Reserve Champion buckles were awarded in the Average for each division. Champions in each division received Mag-Max tubs donated by Oxy-Gen, 2nd-5th received feed donated by Tucker Milling. Buckles were awarded to Champion Mollybeth Anglin and Reserve Champion Payton Redman. Kynley Braxton and Hannah Heatherly received gift bags from Performance Horse Products for their 3rd and 4th place finishes. Rebecca surprised us with an unexpected visit on the way back to Mesalands from her home in Penn. 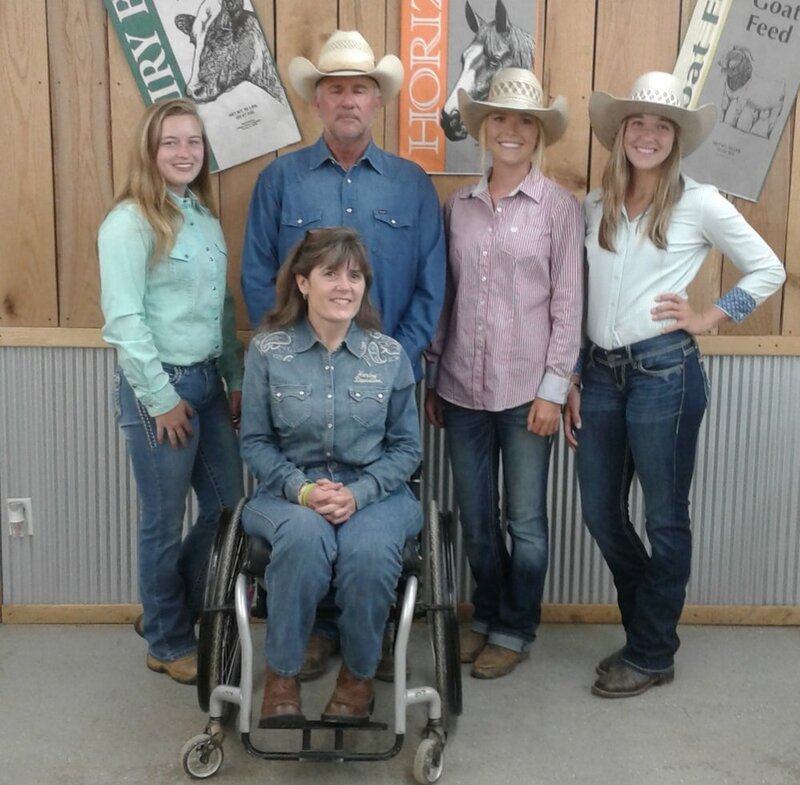 Rebecca competes on the MCC rodeo team and is a 2017 recipient of the Meagan McCain Memorial scholarship. Thank you to Blake Monroe for leading an inspirational church service. Blake Monroe lead our church service and shared an inspirational and moving personal testimony. Reserve Champion Madde Shelton with her buckle. 3rd place Keegan Pollard and 4th place Erin Corley with gift bags awarded by Ashley Delorme of Performance Horse Products. 3D Champion Cade Edwards and Reserve Champion Ethen Sorrentino were awarded trophy buckles presented by Mark McCain. 3rd place Alyssa Raeta and 4th place Maelee Wade were awarded gift bags donated by Ashley Delorme of Performance Horse Products. 1D Champ Elaina McKinney presented with buckle from Mark McCain and 3rd place Madde Shelton presented with gift bag from Ashley Delorme of Performance Horse Products. Emma and Brother Delorme were thrilled to get their prize bags donated by The Cinchy Cowgirl. Meagan's Legacy initiated a new Student Volunteer Program for the 2017 Memorial so that high school and college student could earn scholarships by volunteering during the Memorial weekend. A huge thank you to these three young ladies who wore so many different hats during the weekend! 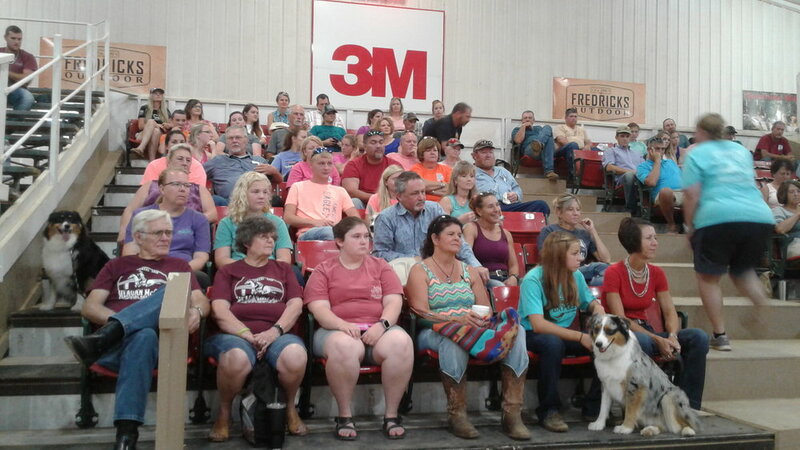 Silver: Morgan County Celebration Arena, Rockin Peace Ranch, Tack Tavern Ranch, McClure Truck and Trailer Sales, Southeastern Mills, Fitch's Flying Service, JR & Joannie Hurd, Steve & Teresia Bass.